In 1970, a group of comic book fans started an event in San Diego called Comic-Con™. Last year, over 130,000 attended the convention. There are spin-off events around the US and around the world attracting millions of people who love comic books and science fiction. The events feature top names in the industry, panels, demonstrations, educational sessions, and vendors selling related wares. You will also see attendees dressed up as their favorite super heroes or in kilts. This phenomenon is not limited to comic book aficionados; there are “cons” for fans of zombies, Star Trek, furry costumes, Lego® bricks, and many more. One day, I realized that PASS Summit was actually a con for SQL Server and Microsoft BI stack enthusiasts. The event features top names in the industry, panels, demonstrations, educational sessions, and vendors selling related wares. You will also see attendees dressed up as their favorite super heroes or in kilts. While PASS Summit can’t claim the numbers seen in San Diego, it is the largest SQL Server and BI convention in the world with over 5000 registrations in 2014. We are there to learn, get advice, and network. But there is something more. We go to geek-out over the technology we love. Working with data is much more than a job to many of us. I’ll be attending my 12th PASS Summit this year, and I am honored to say that I was chosen as a speaker for the third year in a row. At Summit, I will connect with my friends, learn about SQL Server 2016, and talk to the folks who actually build SQL Server. I will come home with renewed enthusiasm and fantastic new ideas about ways I can help my customers get the most from SQL Server. Most of us love the work we do, and we are generally compensated well. As a way to give back and make a positive difference in the world, Argenis Fernandez (b|t) started a fundraiser for Doctors Without Borders. Expect to see Argenis in some crazy costume at Summit if his goal is met. 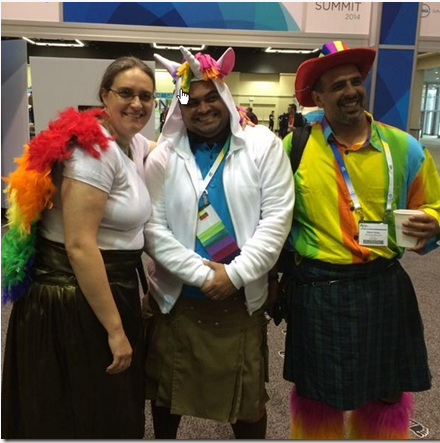 There are dozens of reasons to attend PASS Summit 2015, and one of them is that it is just a ton of fun.